The HandsOn Greater Phoenix Internship Program provides undergraduate college students the opportunity to learn about community needs and the nonprofit sector while gaining practical experience at our office in Mesa, Arizona. Internship positions are unpaid. However, interns develop both professionally and personally as they contribute to the HandsOn Greater Phoenix mission as a nonprofit organization that puts volunteers to work where they are needed most. Undergraduate students who are committed to completing at least one semester are encouraged to apply for our internship program. We can only accommodate applications from within Maricopa County and cannot provide housing assistance. Click on the above position links for application requirements. You will be asked to submit a resume and cover letter. Candidates whose applications pass an initial review process will be invited to interview prior to a final selection. What is the time commitment for interns participating in the program? Interns are asked to commit to 3-5 hours a week for the designated semester. The days are flexible and may include participation in weekend events. Specific schedules are determined by the intern and his/her supervisor. 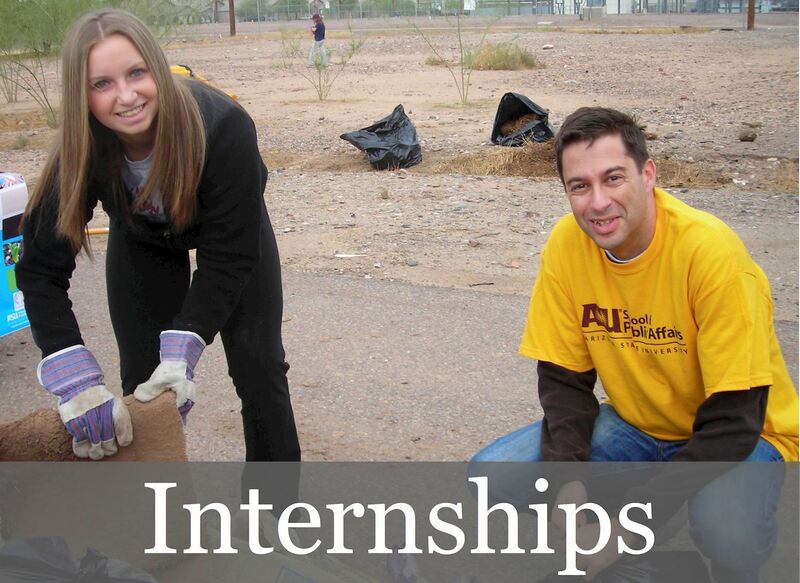 If you have further questions about the Internship Program, please contact hr@handsonphoenix.org or call 602 973 2212.